While the 50th Annual Conference is less than 30 days away, it's not too late to register for pre- or post-conference activities! What can you do to support future generations of nutrition educators? 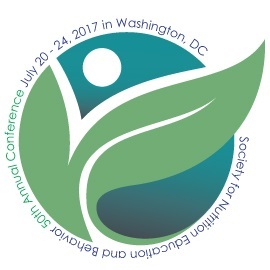 Purchase a $50 for 50 custom label pin in honor of the 2017 50th Annual Conference! The option to donate is included with your conference registration or click here to donate now. Pins will be distributed at conference or mailed to anyone not attending. Since 2004, the SNEB Foundation has awarded over 65 scholarships to students attending the conference. Watch the SNEB blog to hear how this has impacted the careers of these emerging nutrition educators. Georgianna Mann, PhD, The University of Mississippi – Let's Make Spring & Summer Healthy! Interview: Mary Scourboutakos, PhD, discusses a new study from the University of Toronto and Memorial University of Newfoundland, which determined that messaging encouraging fruit, vegetable, and water intake positively influenced the eating habits of university students. No Kid Hungry is proud to promote the summer meals texting hotline, which began in 2013 and is entering its fifth year of operation. This hotline allows children and families to easily and quickly identify open summer meals sites in their area. To receive information about open summer meals sites, users text "FOOD" to 877-877, and receive a text prompting them to enter an address (either their home address or any other location of their choosing). Once the user replies with a full address and/or zip code, the service provides information about nearby meals sites or information about how to access sites if none are located in the vicinity. Spanish speakers may also access this information by texting "COMIDA" to 877-877 and receive a response in Spanish. Click here for more information on Summer Meals planning.